If the answer to your question is not listed below, please email us at info@scalpmicrousa.com and we will get back to you as soon as we can! Our pricing is based on the level of hair loss, which is different for each client. Typically, the price ranges between $1,500 - $4,000. We recommend setting up a free consultation so our team can evaluate your case and provide a personalized price quote based on your hair loss needs. Scalp micropigmentation has become such an effective hair loss solution because of its consistently natural and undetectable results. Scalp Micro USA prides itself on the ability to seamlessly replicate each individual hair follicle to create a perfect match for each client. No. Scalp micropigmentation is a form of permanent cosmetics, but unlike tattoo ink, the Scalp Micro USA pigment is designed to fall within the same color spectrum of short cut hair. The pigment contains no additional colorants or additives and will only lighten, not discolor over an extended time. Scalp micropigmentation also utilizes different equipment than traditional tattooing, ensuring the needle and machine are designed specifically for micropigmentation of the scalp. Yes! We are able to match the shade of our pigment to a wide range of skin tones. Whether you are Caucasian, African-American, Hispanic, Asian, or Pacific Islander and much more...scalp micropigmentation can work for you. For most clients, the pain minimal and it's consistently less painful than traditional tattoos. After your session, you won't experience any further discomfort. Where is Scalp Micro USA located? We have clinics in New York City, Los Angeles, California, and Houston, Texas. Where is there Scalp Micropigmentation near me? We have three Scalp Micro USA Clinics in New York City, Los Angeles, California, and Houston, Texas. Our Scalp Micropigmentation clinic in New York is located on 39 West 32nd Street, Suite 600 right by Herald Square and Penn Station. The Los Angeles clinic is located at 3007 Washington Blvd, Marina Del Rey, CA - right by Venice beach and Santa Monica. Our Scalp Micropigmentation clinic in Houston, Texas is located on 5433 Westheimer Rd Suite 110 right by the Houston's popular Galleria area. What equipment is used for a Scalp Micropigmentation procedure? The equipment used for a scalp treatment is considered micropigmentation or “permanent cosmetic” equipment. There are many different brands and designs and equipment includes a digital power source, a hand-piece, and a disposable micro needles for the insertion of pigment. Most technicians of Scalp Micropigmentation use different equipment than standard tattoo artists to ensure the deposits are delicately placed at the appropriate depth in the skin. What makes Scalp Micro USA different from other providers? Scalp Micro USA has the some of the most experienced and reputable technicians in the world. The Scalp Micro USA team has combined to treat over 3,500 clients in their career and operating in New York and Houston, Texas, have worked with all age and ethnic demographics. Aside from experience, Scalp Micro USA prides itself on a more personal, client-first experience than some of the larger chain clinics. From the moment of first contact you will receive a high level of attention to your case with easy access to our technicians. I see many Scalp Micropigmentation providers on the internet, how do I choose the right one? The growth of scalp micropigmentation (hairline tattoos, scalp tattoos) has been tremendous over the last few years. This means a lot more clinics, but also means prospective patients need to do their research! Look for clinics and technicians that have been operating for several years, have a vast and dynamic portfolio of results, and help answer any questions you have. It is always a good idea to schedule an in-person consultation if you are unsure, in order to eliminate those providers you just don’t feel comfortable with. Can you help with hair transplant FUE/FUT scaring? Yes! We use our specialized scalp micropigmentation technique to deposit color matched pigment into the scar to reduce visibility. 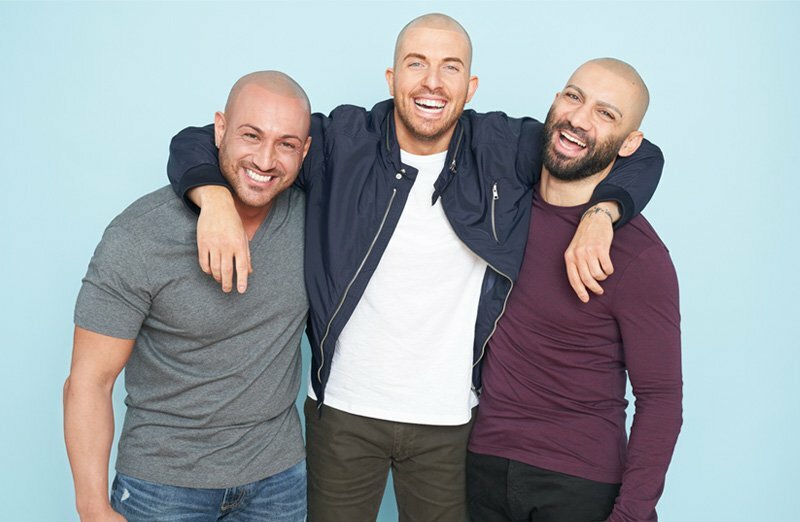 No, we offer free consultations for anyone looking to learn about how scalp micropigmentation can help their hair loss. What is the difference between scalp micropigmentation, hair tattoo, micropigmentation and scalp tattoo? Scalp Micropigmentation is not just a traditional tattoo. Scalp Micropigmentation (SMP) is a form of permanent cosmetics, but unlike tattooing or permanent makeup, the treatment replicates the look of short cut hair by using pointillism techniques. Scalp Micropigmentation utilizes different equipment than traditional tattooing, ensuring the needle and machine are designed specifically for micropigmentation of the scalp. Do you have Scalp Micropigmentation Before and After Pictures? What is a Scalp Tattoo? Scalp Micropigmentation is the process commonly known as a hair tattoo or scalp tattoo. Scalp Micropigmentation (Scalp Tattoo) is a non-invasive treatment that uses detailed micro-needles to deposit pigment into the scalp. The result creates the appearance of tiny hair follicles or short hair stubble. If you are starting to thin, recede, or if you are completely bald, we can give you the look of a short buzz cut. Scalp Micropigmentation is the process commonly known as a hair tattoo or hair tattooing. Scalp Micropigmentation (Hair Tattoo) is a non-invasive treatment that uses detailed micro-needles to deposit pigment into the scalp. The result creates the appearance of tiny hair follicles or short hair stubble. If you are starting to thin, recede, or if you are completely bald, we can give you the look of a short buzz cut. How long until I can scrub, shampoo, or shave the smp treatment area? We recommend no scrubbing, shampooing, or shaving over the treated area for 4-5 days after your scalp micropigmentation treatment. Can I wear a hat after my scalp micropigmentation treatment? Can I go in the pool, sauna, or steam room after my scalp micropigmentation treatment? We recommend you try to avoid chlorinated pools, saunas, steam rooms, and tanning beds for 28 days post final scalp micropigmentation session. Do you have a scalp micropigmentation clinic in New York? Yes, our scalp micropigmentation clinic is located right in the heart of Midtown Manhattan at 39 W 32nd St, New York, NY 10001. We're steps from the Herald Square subway station and a quick walk from Penn Station. Do you have a scalp micropigmentation clinic in Los Angeles, California? Absolutely! Our Los Angeles, California clinic is located at 3007 Washington Blvd, Marina Del Rey CA 90292. We are located right next to Venice off Abbot Kinney and a few minutes from Santa Monica. Do you have a scalp micropigmentation clinic in Houston? 5433 Westheimer Rd, Houston, TX 77056, USA. We're located right in the Galleria area, just a few minutes from both airports. Who is the best micropigmentation specialist in Houston? We like to think the best is defined as someone with the most experience and provides the best results for their clients. Our lead practitioner and clinic manager, Graig Lauricella has been providing the scalp micropigmentation treatment for over 7 years! He's treated over 3,000 clients in his career and has been one of the leaders in the micropigmentation industry. Always do your homework! Check out the portfolio of work to determine if the practitioner is right for you.